Elected as the Chair of Governors in September 2017. A compliance inspector at a National Regulator. Joe has extensive experience developing contract specifications and monitoring contract performance standards. He is highly skilled in intelligence gathering, analysis and report writing. As a senior manager, Joe has had leadership roles in areas including stakeholder engagement and strategic development. He is a board director of an internationally respected not-for-profit dance company and vice chair of a police safer neighbourhood ward panel. In his spare time, Joe is a keen photographer. As a partner in a large successful London based architectural practice Tim has extensive project and practice management experience. In addition to his role as an architect, he is responsible for the quality and environmental management systems as well as being the designated partner for health and safety within the practice. Terry is the parent of two Park View children. He is a researcher, author and Early Years Leader in a Barnet primary school. Terry is the link governor for Science (his PhD being in the Philosophy of Science). He wishes to use his expertise and experience to continue to make Park View a great place for children to learn in challenging yet fun ways. Chris is a parent of two children in the school and is Chief Executive of a national trade association representing 150 companies. Chris also has 25 years experience in the public sector and charities including managing teams and budgets, advising senior decision makers, setting strategies and recruiting staff. He has served on Boards for non-profit organisations, including a period as a Chair. Cal Shaw is a Parent Governor at Park View. She is also a Primary School Headteacher so Cal brings a wealth of experience from the educational sector. 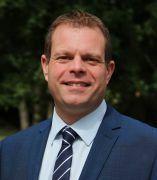 Cal has a good, in-depth knowledge of the curriculum particularly at KS3 and also has extensive experience with Safeguarding, staff and personnel issues and school finance. Bob Harris is a retired teacher/senior lecturer. He worked in London comprehensive schools and Further Education variously as a teacher of modern languages, vocational education, curriculum development and as head of sixth form. As a local elected Councillor he served as the Chair of the Education Committee of Haringey, and as Cabinet member for Health and Adult Social Care and for Finance and Resources. His skills and experience include educational development, performance management, finance and human resources, making senior appointments, team working and community engagement. 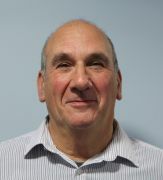 He is also a Governor at Haringey Sixth Form College, where he currently chairs the Curriculum and Standards Committee, and is keen to build informal links between Park View and the College. Eric Osei is an experienced business and economic development professional. He has over 20 years’ experience developing and managing multi-million pounds strategies and programmes to support businesses and attract companies. His work has made an impact on business and economic development policies across London – and has led to international and London-wide awards. Eric is a former pupil of Parkview School, then known as William Forster Secondary School. Sylvia has been a Governor at Park View for a number of years, a Parent Governor and now a Co-opted Governor. Sylvia has spent most of her working life in Local Government Education, so has a vast knowledge of educational matters. She really enjoys being a Park View Governor and seeing the school on the journey of improvement over recent years. She states she is immensely proud of all the staff and students of Park View and takes her role as school Governor very seriously. Sarah Williams has children at Park View School and has been an active governor since 2013. Sarah sits on the Finance & Resources Committee. She is a professional musician and a Music teacher. She plays the trombone; performing in West End theatres, orchestras and for film and television. Sarah also teaches Music in primary and secondary schools. 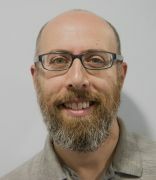 Jon has joined the Governing Body as a co-opted member after spending 8 years as a parent governor at another Haringey school. He has worked for all his adult life in a range of manual and management jobs. He has extensive experience sitting on Supplementary Benefits Appeal Tribunals as well as a previous member of the panel for Industrial Tribunals. He has recently retired after a career of 40 years working for Network Rail. His most recent management experience involved managing performance and signallers. Prior to that he was a Health and Safety Instructor.